Derma World headed by the experienced & awarded Dermatologist, Dr. Rohit Batra is a authorized dermatologist to do Silhoutte Soft Lift in Delhi, India. Silhouette Soft is a non invasive with minimal downtime procedure to redefine facial contours with instant results. 1 What is Silhouette Soft Thread lift? What does it do? 3 How does Silhouette Soft Thread lift Works? 4 What is the process of Silhouette Soft Thread Lift? 5 What are the benefits of Silhouette Soft facelift? 6 Who Is a Suitable Candidate for Silhouette Soft Thread Lift? 7 Who do not make for a good Silhouette Soft Thread Lift Candidate? 8 What Results Can You Expect? What is Silhouette Soft Thread lift? What does it do? Commonly known as the ‘lunchtime facelift’ or the ‘one-stitch facelift’, Silhouette Soft Thread Lift is a new contraption in the realm of non-surgical cosmetics/aesthetics that helps both men and women get a fresher, brighter look in many ways. This minimally invasive procedure restores youthful definition and recaptures volume by stimulating and boosting the regeneration of lost collagen. Silhouette Soft recaptures “the triangle of youth” without undergoing surgery without lying in operation theatre, by relocating the sagging tissue and boosting the production of collagen. Single treatment with a dual action: instant repositioning and gradually promotes the regeneration of lost skin collagen. Indicated for the treatment of the contour of the face, cheeks, eyebrow and neck and should only be conducted in the hands of highly skilled practitioners. A minimally invasive procedure performed at the doctor’s clinic with negligible downtime and recovery. Possess an outstanding tolerance and safety profile. Silhouette Soft is now available in Delhi, India. However, only at scarcely any high-tech dermatology centers. Silhouette Soft is available in the form of resorbable suture with resorbable bi-directional cones. Silhouette Soft is first made in the US and its technological innovation was based on 6 years of maturity in suture suspension with cones executed in cosmetic surgery and reconstructive surgery. Within a few years, more than 1.5 lac treatments have been performed all over the world. It would be good to know that the commonly known ‘one-stitch facelift’ Silhouette Soft Thread Lift uses specialized bio-absorbable sutures constituted of poly L-lactic acid (PLLA) that has been in use for several years in many pharmaceutical and biomedical applications. It is also a key compound for the orthopedic equipments and surgical sutures. This represents the resilience and assurance of the material in the trailblazing skin lifting, tightening and cosmetic correction treatment. How does Silhouette Soft Thread lift Works? Also referred to as ‘lunchtime facelift’, Silhouette Soft Thread Lift technique leaves no scars and can be favorably executed on all areas of the face and neck, contributing to a younger, smoother and tighter look. Silhouette Soft may successfully calibrate mid face, eyebrow, jaw line, and neck sagging in an approximate 30-minute treatment. This treatment enables to rejuvenate face within a few days by repositioning the volume and re-carving the face and the neck. There is short-end recovery time and patient can quickly return to their full social and routine life. Silhouette Soft® is one unique treatment offering dual action to be carried out on different areas of the face and neck with long lasting results. This is a lifting action for instant and prudent effect. Silhouette Soft foster and nurture the reproduction of lost collagen to re-arrest youthful definition and regain volume. The result is a nuanced, natural looking, smooth face. What is the process of Silhouette Soft Thread Lift? The face is first thoroughly cleaned and cleansed using a mild medical wash. A local anesthetic is then applied to the facial area of treatment and the expertly trained doctor implants the Silhouette Soft thread beneath the skin using a fine needle. After implantation of the thread, the specialist exerts pressure on the treated area in order to reshape the surface of the skin and obtain the immediate lift. Treatment with Silhouette Soft can be carried out on a variety of areas of the face but only by a trained doctor. Silhouette Soft is a unique dual anti-aging treatment with long lasting results. Regenerative action for natural, steady, long-lasting results. This appears through stimulation of collagen to restore loss shapeliness and volume to the face, and occurs over the next 3-6 months after treatment. What are the benefits of Silhouette Soft facelift? It is a custom-made treatment to accommodate to each individual’s needs for areas such as cheeks, chin, eyebrow, jowls, and neck. Silhouette Soft Lift is an outpatient procedure, takes less than an hour, with minimal or no downtime. Has a long lasting effect for up to 18 months to 2 years. Therefore, it would not be illogical to state the skin rejuvenation via Silhouette Soft as innovation because you can step out of the clinic today as a much younger you are tomorrow and a long time ahead! Who Is a Suitable Candidate for Silhouette Soft Thread Lift? Silhouette Soft Thread Lift treatment is completely suitable for women and men above 30 years of age and want to acquire immediate face lifting without undergoing surgery. 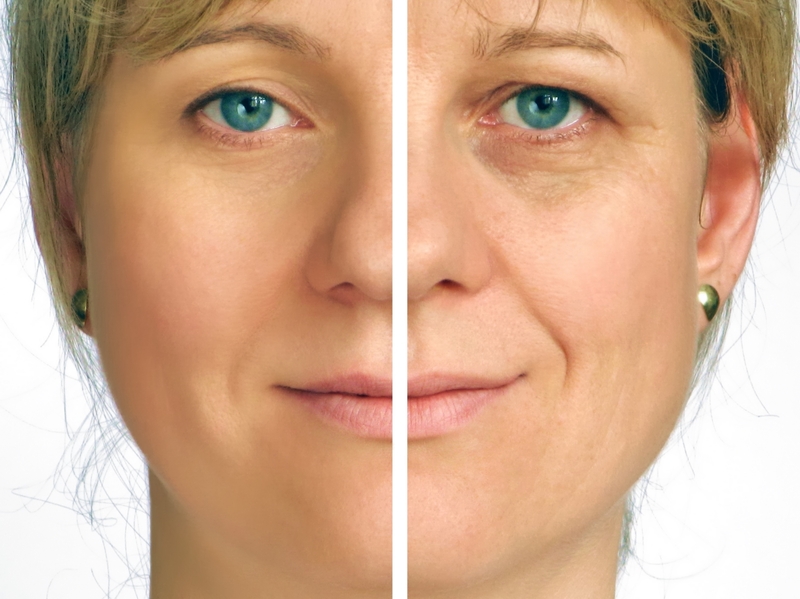 This cosmetic procedure is also perfect for people who seek to naturally and successfully combat signs of aging and want to achieve organic, younger looking result with minimal downtime. For many, Silhouette Soft Thread Lift provides better outcomes than fillers – that is because it hoists skin back to its original position instead of adding more volume. This provides a true age-reversing effect. Who do not make for a good Silhouette Soft Thread Lift Candidate? It is strictly recommended to not use Silhouette Soft on individuals below 18 years of age, pregnant or breastfeeding women. People with any familiar allergy (to the ingredients) or foreign-body reactivity to biomaterial/plastic, implantation of past permanent filler, chronic and acute skin diseases, autoimmune diseases, infection or sepsis must give a wide berth to the Silhouette Soft® treatment. Silhouette Soft can however be combined with other treatments such as temporary hyaluronic acid dermal fillers and Botox. The inserted threads act as a platform beneath the surface of the skin to elevate sagging tissues. Additionally, the cones on the threads aid to comfort and raise the skin to its new position. Simultaneously, the cones supports in the stimulation of collagen creation to replace loss volume which naturally slumps with age. The result is noticeably lifted and the skin gets rejuvenated immediately, with redefined jaw line, enhanced facial contours, particularly in the cheeks and jowls. At the same time there is also a visible improvement in the marionette lines and nasolabial lines. The Silhouette Soft Lift howbeit works best in the cheek area – much artistic and more sophisticated than Korean PDO threads. The instant result is followed by the steady collagen regeneration over the next 3-6 months. This improves appearance of fine lines and skin texture, and anchors the skin with more elasticity. The elevated impact through the Silhouette Soft treatment is instantaneous since it is out-turned from the contraction of tissues and lifting the skin when the sutures are being placed. This effect will further enhance as with the declination of the after-procedure swelling and may last for 18 months to about 2 years. The longevity of the effects may be influenced by the ageing rate of the person as well as their lifestyle and health habits. Side effects associated with Silhouette Soft Thread Lift are generally mild and temporary. A person may experience soreness following Silhouette, lasting for 3-5 days. Mild bruising may appear– this generally occurs only a week after and customarily gives a greenish hue. It fades in a week and can be easily covered with make-up. Some skin deformity or slight depressions can happen– these will disappear in a few days. Do not try finding a happy medium, compromising, safety and efficacy with the cost as advanced cosmetic treatments come with a certain obligation and any settlement by the provider clearly indicates quality adulteration. Check-in for a clinician offering high quality individualized care/aftercare with most probably the rational prices. What are the components of Silhouette Soft? Silhouette Soft is made up of Poly L-lactic acid, or PLLA, which are biocompatible and fully resorbable components. These constituted components in Silhouette Soft has been in use for several years now in various medical and pharmaceutical applications, such as orthopedic pins, screws and nails for bone fractures, suture thread etc. Can Silhouette Soft be used in complete safety? Silhouette Soft thread Lift is subject to innumerable sanitary controls. This cosmetic innovation is based on US technology which has been developed after 6 years of extensive research in permanent suspension sutures with cones used in reconstructive and plastic surgery. Three years after its introduction in 2013, more than 1, 30,000 treatments have been conducted in across 60 countries, where it faced huge success. Silhouette Soft is EC approved for the European market under CE 0499 and the production site adheres to the stipulations of the international standards ISO 13485. Any preparation in particular is not needed before undergoing Silhouette Soft treatment. However, it is advisable for the prospective patients to discuss their expectations and ask our doctor any queries they have prior beginning with the treatment. Additionally, it is always best for your doctor to know beforehand if you have taken any sort of surgical or non-surgical cosmetic treatment before and if any medicines you are currently taking, whether or not, related to the treatment. Is there a downtime? What downtime can you expect? Following Silhouette Soft thread placement, the potential client will have a series of needle traces marked at each side of the face which will remain in sight for the rest of the day, although, can be covered with makeup the following day. Most patients get back to routine work or their social involvements immediately after the procedure. While some patients happen to have minor swelling and bruising near the insertion points which naturally resolves in 4-10 days. For up to 7 days post procedure, there may feel a slight tenderness around the threads placement. Like most treatments of this type, there is a common possibility of temporary, minor side effects, although not customary for everybody to experiences them. These complications may include infection, inflammatory tissue reaction, minimal acute pain, swelling and oedema. Transient bruising may also take place in some cases. Sometimes, a slight skin irregularity or gloominess may occur at the entry points. These discomforts should dissolve a few days after treatment. What Causes Facial Sagging and volume loss? As a universal creature gets older, the muscles and fat in the body begin to deplete which leads to volume loss, loose skin and thus sagging in the face and other parts of the body. Now with the increasing age, our body also starts to decelerate the production collagen and elastin that are the main components to maintain elasticity in the skin. With slow collagen production the skin tends to lose its elasticity and results in sagging. In addition, damage from excessive exposure to Ultra Violet rays also speed up the breakdown of collagen and elastin, thus contributing dull, dehydrated and loosened skin. Another quite unexplored and unimaginable reason of sagging comes from a person’s posture. Yes, many would not want to believe, but actually looking down frequently at mobiles, laptops and gadgets and generally keeping a slouched posture compresses the neck muscles escalating the formation of jowls. Take preventative action and try to beat the tech neck ritual in order to help improve your posture and elude early sagging of the skin. Are there any contraindications to Silhouette Soft Thread Lift Treatment? Patients with any known allergy or foreign-body reactivity to plastic/ biomaterial, permanent skin fillers, chronic and acute skin ailments, autoimmune diseases, infection or sepsis, unwillingness to limit certain physical activities or follow directions during the healing period should refrain from planning the procedure. Do NOT get a Silhouette Soft treatment, if you are a minor (under 18 years of age) or/and is pregnant or breastfeeding. Can Silhouette Soft be combined with other cosmetic treatments? Yes, definitely, Silhouette Soft could in fact be an extraordinary corresponding to other non-surgical cosmetic treatments such as dermal fillers and botulinum toxins (Botox). What do I need to know before my Silhouette Soft? Having an aesthetic procedure involves a major decision and willingness of a person. Anyone planning for the procedure should perform a well-to-do research and be able to ask questions on meeting with the doctor. It is essential to gather as much information and understanding of a specific treatment before consultation with a cosmetic surgeon so that you are prevented of any manipulative controls that some clinics and clinicians practice. It is always best to have a few free NO commitment, NO chargeable consultation with different skin specialist at a few renowned cosmetic set-ups before making your mind up. You also need to explore your expectation and make commitment to yourself that you are ready and ready for expected stated results. Make sure to pen down or recall your medical and cosmetic history as this will help your cosmetic surgeon to examine you and determine your suitability for Silhouette Soft and decide the number of thread to be used in your case. What are the cautions I should take immediately after my Silhouette Soft? You can use Arnica and Bromelin, if you want but there are no clear scientific proofs as yet. You can return to routine activities but halt for high-impact exercises/weight lifting for about 5 days. Are there any recommendations to be followed after Silhouette Soft Thread Lift Treatment? Following these recommendations will ensure the best possible facial lift, and save from misalignment of the Silhouette Soft threads. Is the pouch/pucker showing after silhouette soft thread lift in treated area just from swelling? The pouch/pucker developed after cutting of threads is nothing to distress about. This is a common problem but can be easily rectified. It is sometimes because of a cone being implanted too close to the exit point and is pulling back forming the swollen look. This can possibly be settled shortly after the procedure, however if not, then visit back to your treating doctor to get the cone released. Releasing of the cone is an utterly simple technique, wherein the doctor just needs to release the cone by pulling the tissue back. You may see some mild swelling, bruising and tenderness at the thread insertion sites. Nonetheless, this will subside. When should I see my cosmetic surgeon? Any side effects to antibiotics; such as nausea, vomiting, fever, headache, and or rashes. No, the treatment is conducted with administration of a local anesthetic, avoiding pain during insertion of the suture. What is the difference between Silhouette Soft and Nova (PDO) Threads? Both the sutures are created to lift and reposition the skin tissues, however how they do this and on what type of tissues they work are very different. A silhouette Soft suture is designed to reposition volume in the face and exhibits a true suspension suture. Made of Polylactic Acid, large surface area Cones and promoting the youthful Type 1 collagen. On contrary to PDO barbed sutures that promote the fibrous Type 3 collagen. In cosmetic execution both have different uses, PDO is disposed for usage on the heavier tissues while Silhouette on lighter tissues for more contouring. Licensed Status of Silhouette Soft? Who should provide a Silhouette Soft? Silhouette Soft should be used and carried out by only those doctors/cosmetic surgeons/skin specialists who have gone through specific training. One such association is Sinclair IS Pharma that train doctors through a network of UK trainers. Under the supervision of an untrained, unskilled doctor, there are fairly good chances of getting prolonged skin dimpling and evident knots through the skin. In the right hands, Silhouette Soft is a pleasing, natural, anti-aging treatment.